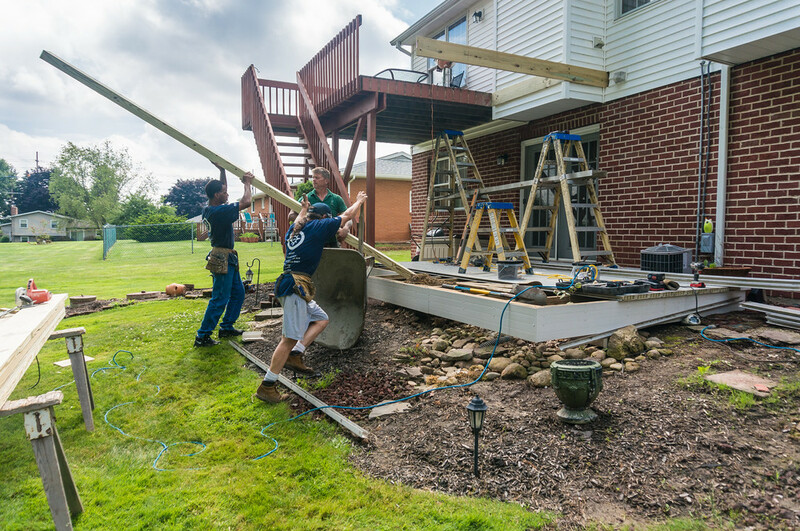 Monday June 30th, Enclosing A Deck Part 6 – Construction. 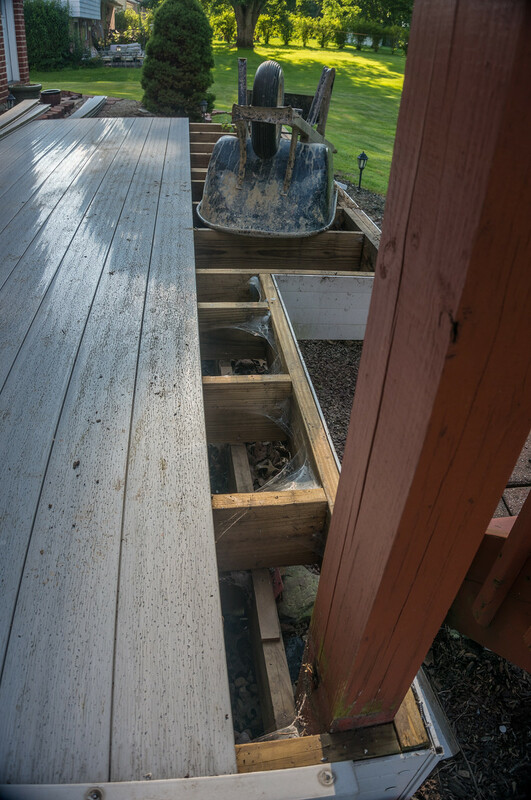 Today the builders started to add to the length of the deck taking it from 13 feet 7 inches to 19 feet 3 inches. 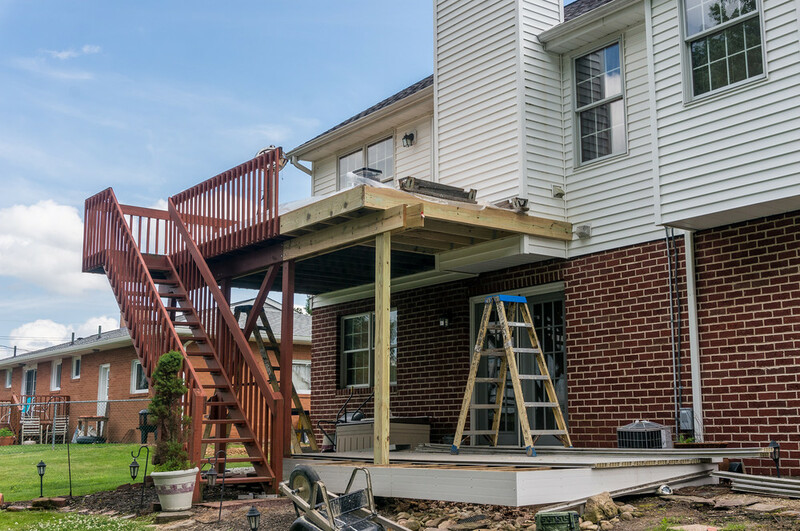 Now the deck will wrap around the chimney giving us a nice breakfast nook to add a table without it taking up the main seating area of the deck. 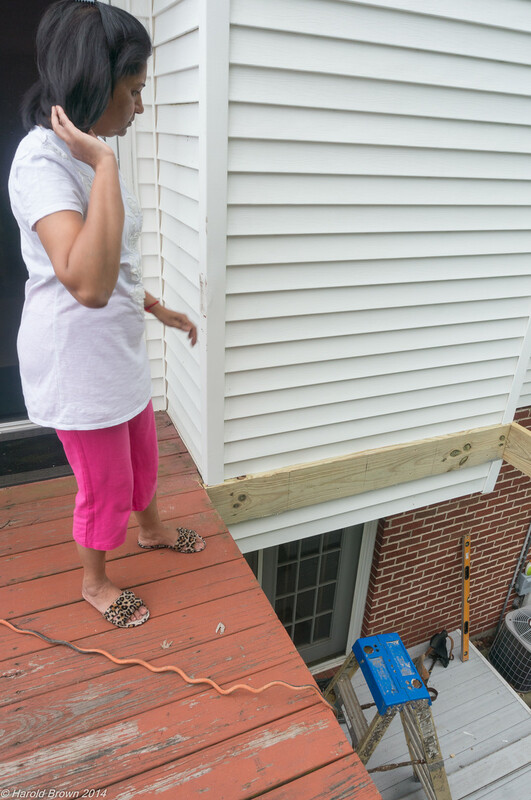 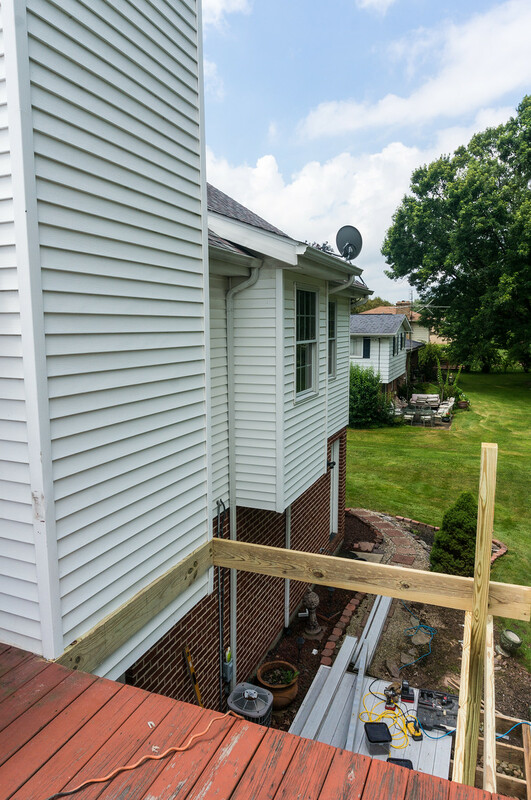 This post also contains a slide show of the construction process of enclosing our upper deck. 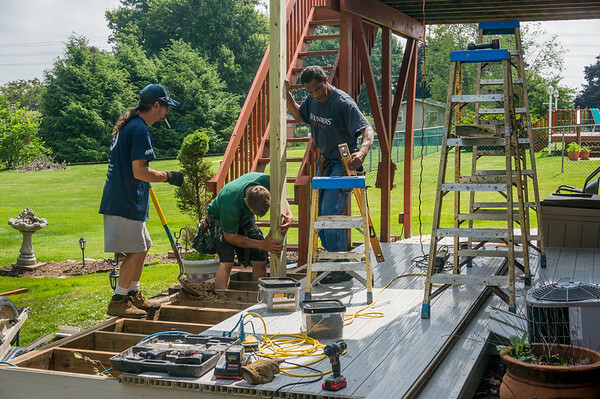 I will continue to add additional posts with more specific information the next few days with each post containing a slide show for that day. 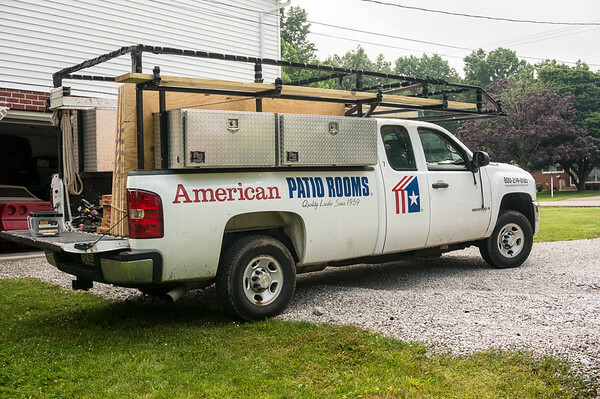 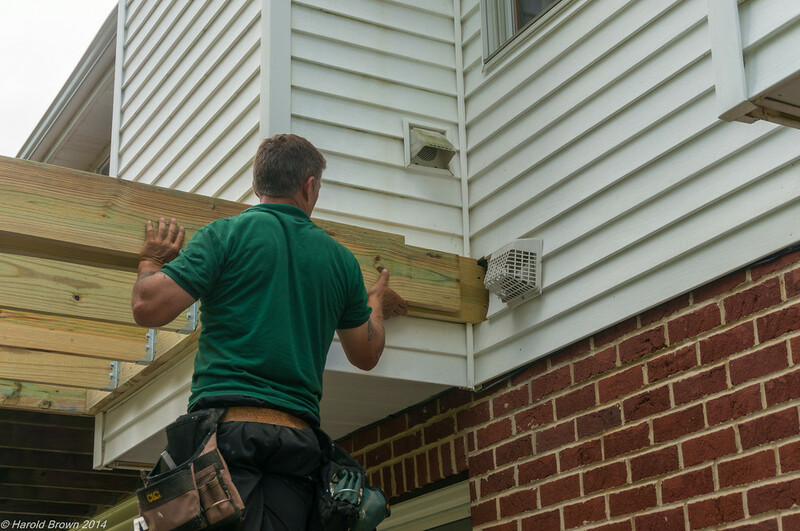 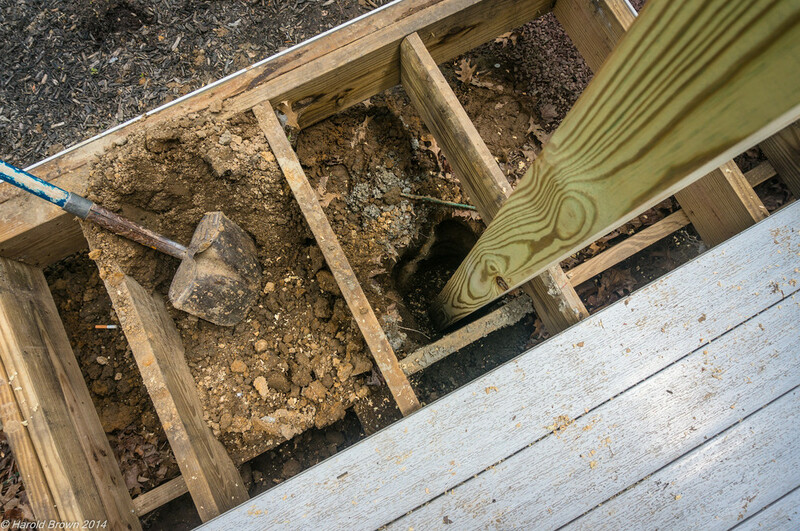 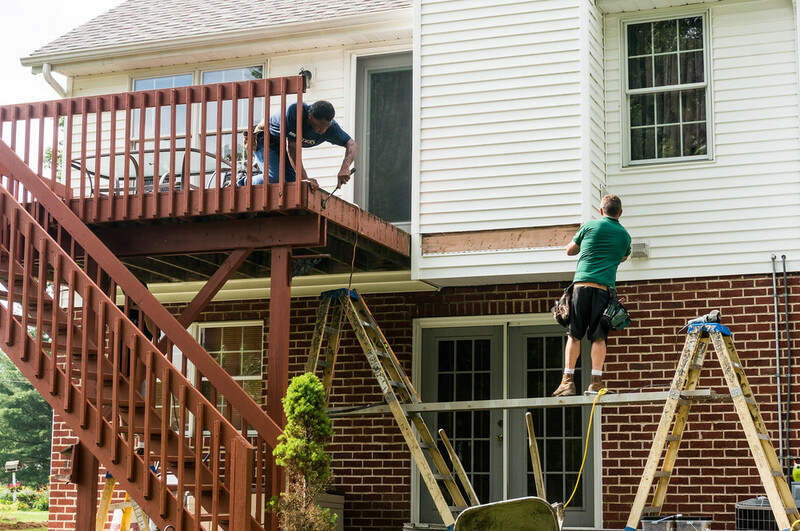 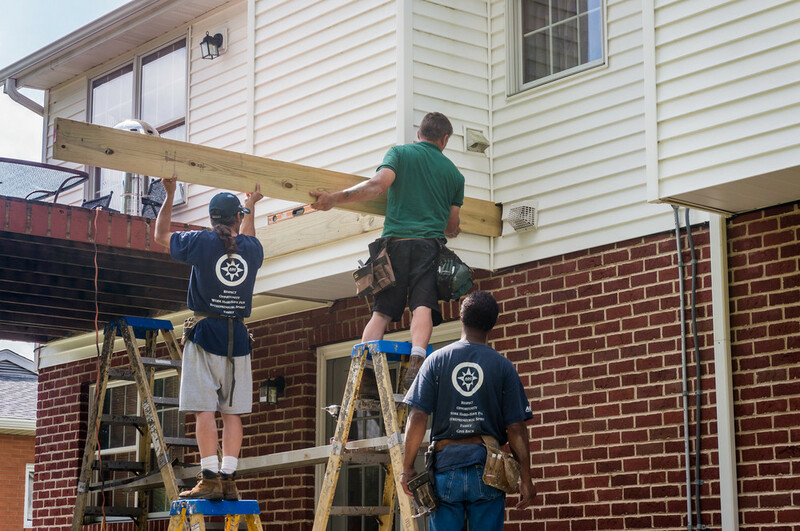 Hopefully you will gain some knowledge of the process of enclosing a deck. 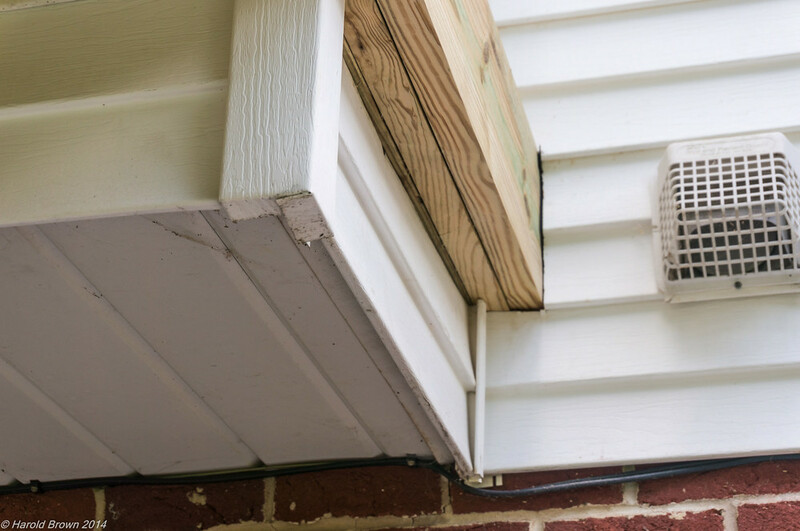 FYI - We managed to work around the robin's nest and save the baby birds, but mama wasn't too happy with us most of the day!